Sign up today for FREE Potential Unlimited E-newsletters. 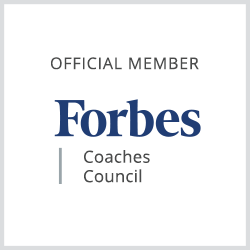 Carey-Ann Oestreicher (pronounced O-striker), Chief Engagement Officer for Potential Unlimited, works with individuals and organizations using her strategically holistic style of coaching and training designed to build highly successful, balanced people. Winner of a TOP 40 UNDER FORTY Business Achievement Award, ranked by Forbes Women as a Top Online Influencer, and nominee as one of Canada's Most Powerful100 Women™ , Carey-Ann has held a variety of senior positions including vice-president level. She has worked in such industries as financial services, automotive and transportation, publishing, cosmetics and fashion. Carey-Ann is a mother and a wife. These 'non-business' roles are constantly teaching her the most important lessons she applies in her professional life. Carey-Ann also has a passion for fitness and is a certified fitness leader in addition to having completed several triathlons. Her focus is her family and helping people find true peace and happiness in their lives while achieving their dreams. Carey-Ann has been featured in the media because of the success she has experienced with her holistic approach to developing leaders and entrepreneurs.